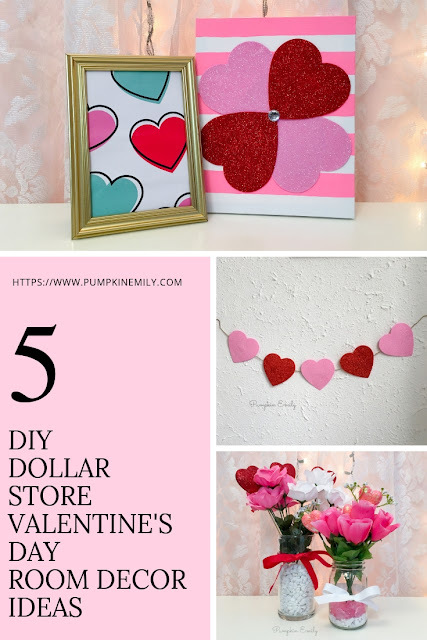 Here you're going to learn how to make five dollar store Valentine's Day room decorations. I'll be showing you how to make two flower arrangements, gift bag wall art, a heart banner, and a canvas. 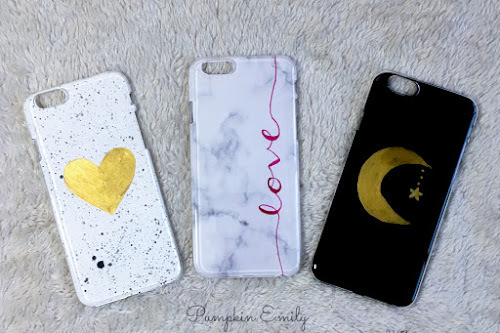 All of these DIYs are easy to make. 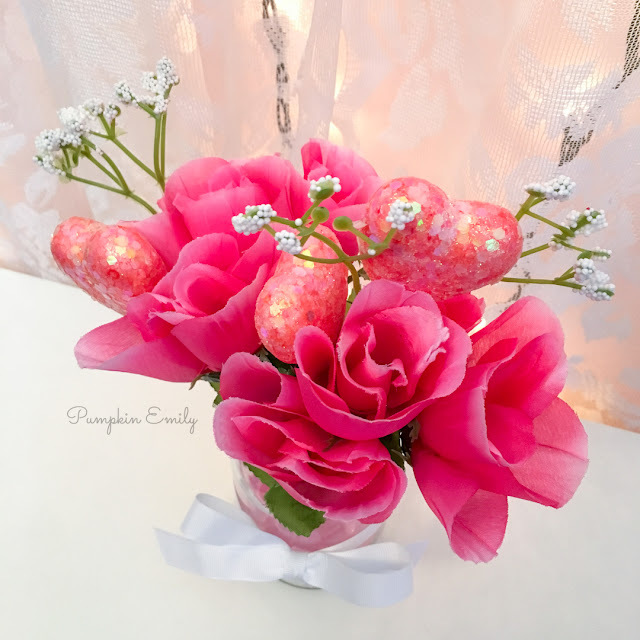 Almost all of these items came from Dollar Tree and a few of the of the items come from other places like the heart foam decorations from the vase came from Dollar General and the paint came from Target. In the comments down below let me know which DIY is your favorite. 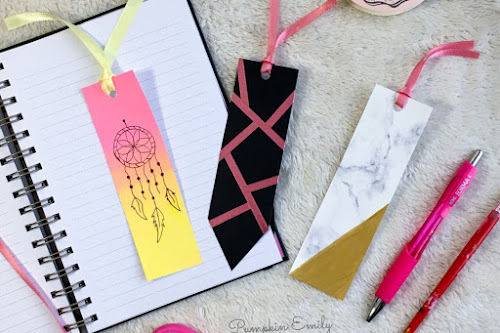 You can watch this video to learn how to make them or read below! 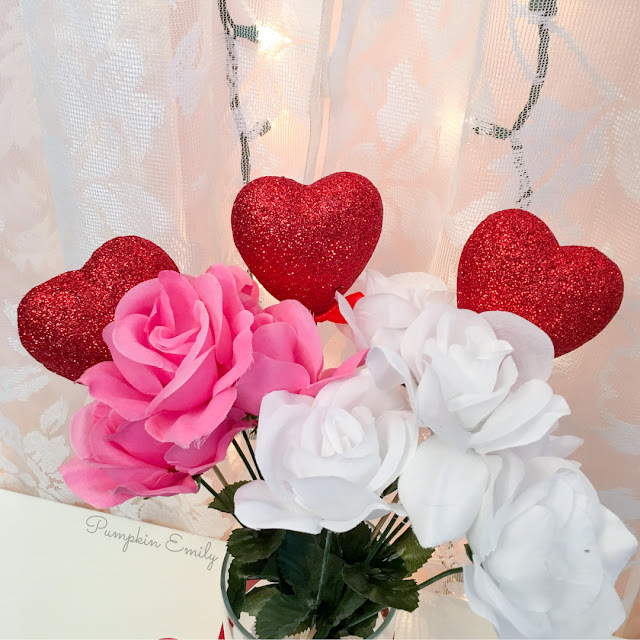 What you're going to need is a jar or a vase, flowers with these hearts attached to them, ribbon and heart table scatters or stone decorative accents. 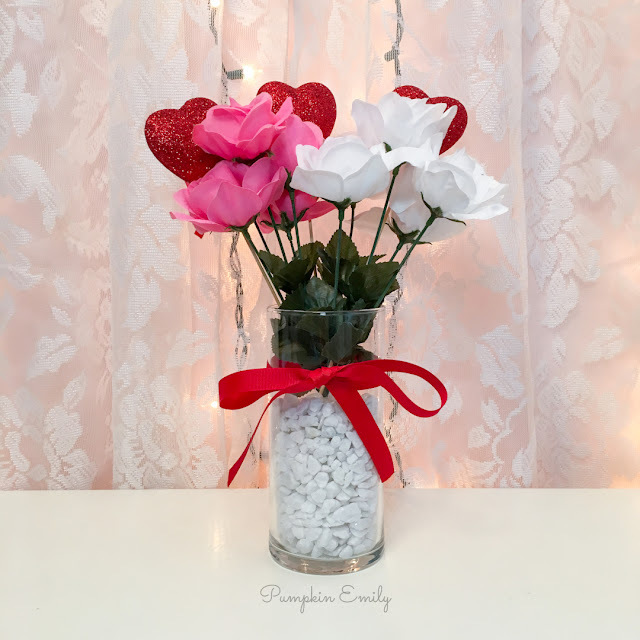 If you want to fill the whole jar with just the heart table scatters you want to get a couple packages of them. 1. 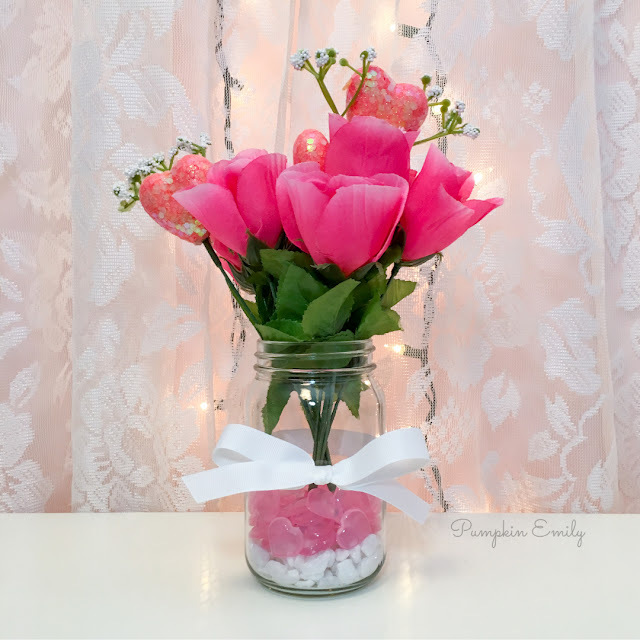 If the flowers are too tall for the jar you can cut them with wire cutters. 2. Put the flowers into the jar. 4. Put heart table scatters or something else into the jar. I took some white stones and I placed some on the bottom because I didn't have enough heart table scatters but you can put whatever you would like in the jar. Then I added the heart table scatters on top of the white stones. 5. Tie a piece of ribbon onto the jar. I tied mine in the middle so I could hide part of the stems of the flowers since I didn't have enough rocks and hearts. This step is optional. Once you like how everything looks you're all done. You want to get a canvas of any size. I used a 8 x 10 canvas. You're also going to need paint, a paintbrush, a ruler, a pencil, a glue gun and glitter foam shapes that are shaped into hearts. 1. Now the stripes are optional but if you want to add them you want to take your ruler and your pencil and make stripes on the canvas. I made my stripes 1 inch apart. 2. Paint the stripes in with any color of paint. I painted my stripes pink and I got the paint from Target. 3. Take some glitter foam shapes that came from Dollar Tree and place them onto the canvas in anyway you like. You can follow the design I made or you can make a different design. 4. Carefully lift up a piece of the heart and glue them on with hot glue or with another type of glue. 5. 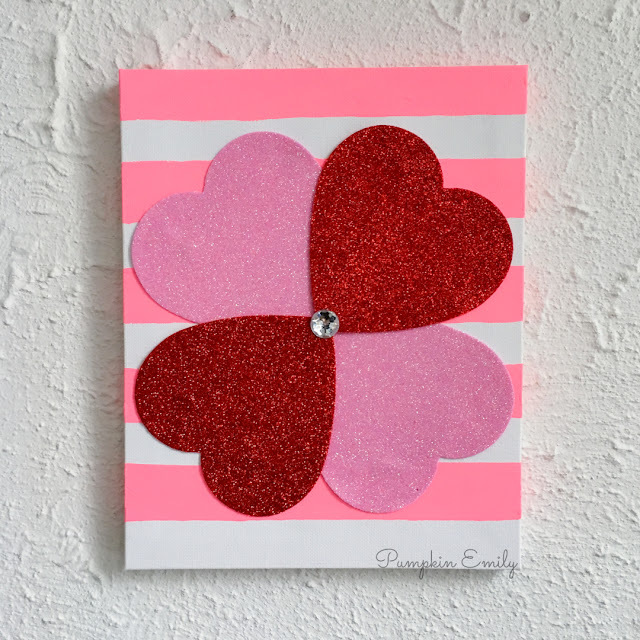 I happened to have this jewel and I glued it in the middle of the hearts but you don't have to glue one here. You can glue something else here or you don't have to glue anything. When you like how your canvas looks you're all done. 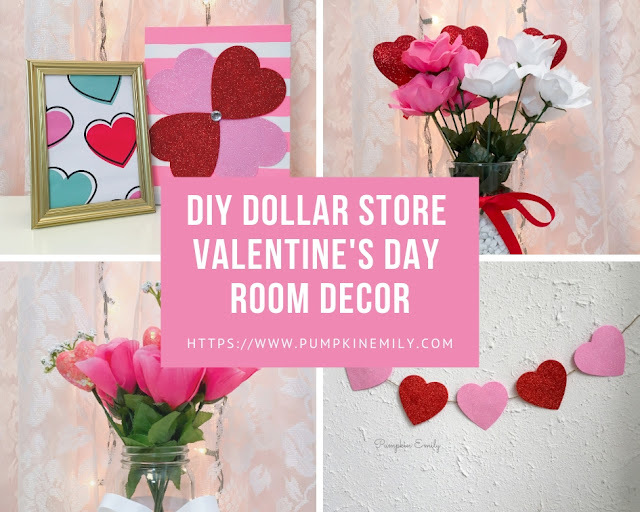 What you'll need is a vase, flowers of any color, stone decorative accents or something else, ribbon and all of those items came from Dollar Tree. You're also going to need heart foam decorations that came from Dollar General or you can find something similar from somewhere else. 1. Put the flowers into the vase first and then you can place the rocks into the vase. 2. After you get some of the stones in the vase you can get the heart foam decorations and place them in the vase but you can wait until the end. 3. Once you have all of your stones and decorations in the vase you can adjust everything until you like how it looks. 4. If you want you can take some ribbon and tie a piece of ribbon into a bow around the vase and you're done. You're going to need a gift bag with anything on it and a picture frame. The gift bag I chose has hearts on it. 1. Trace the glass or the paper of the frame onto the gift bag and then you want to cut that out. You can use either side of the bag. I chose the side with no sparkles because I want to use the front for something else. 2. Place the paper into the frame and then you're all done with this DIY. 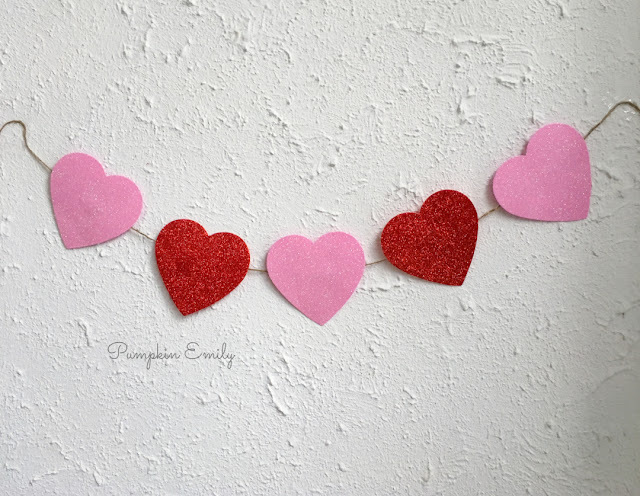 What you'll need are these glitter foam shapes that are shaped into hearts, twine, tape or glue and scissors. 1. 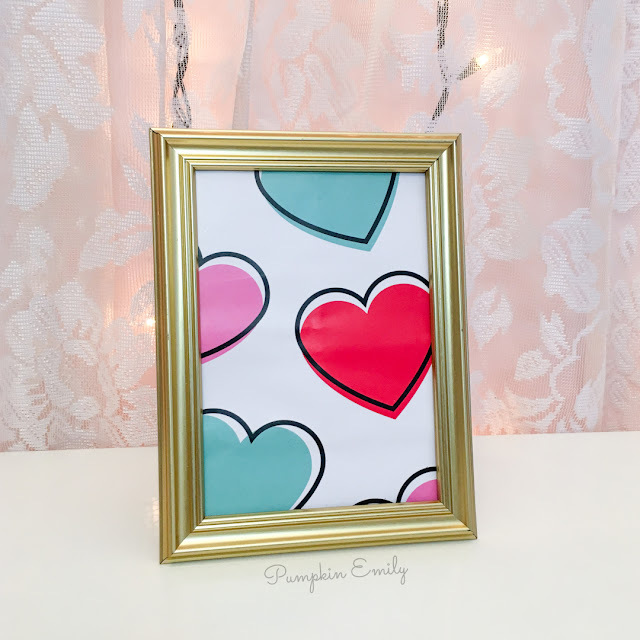 Layout your hearts so you'll have an idea of how your banner will look like when its done. 2. Layout a piece of twine and then you can tape or glue the hearts to the twine. 3. Once you have all of the hearts on the twine you can tape it anywhere you would like. Love the flower idea! Hope you have a wonderful Valentine's day! I hope you have a wonderful Valentine's Day too! Oh this is to cute! I loved it!